The driver did not have a current commercial driver’s license. The driver lacked the training or experience necessary to operate the vehicle. The driver was fatigued due to being overworked and spending too many hours behind the wheel. The driver was driving unsafely because they were under pressure from their company. The company does not adequately supervise its drivers to ensure that they are driving safely. The company did not properly maintain the vehicle, resulting in a mechanical failure that caused the accident. Cargo was improperly loaded, shifted during transit, and caused the accident. 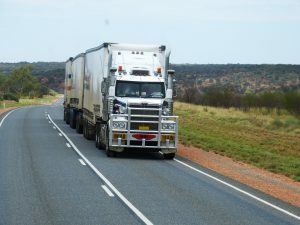 On top of these factors, a commercial driver is just as likely to drive negligently as any other drivers by speeding, driving aggressively, driving while distracted, or engaging in any other form of unsafe driving. As you can see from the above list, there is a good chance that you will have to make a claim against a corporate entity. It’s important to understand that corporations are often set up in a way to shield them from claims. For example, the company responsible for owning and operating the trucks may be a shell company with virtually no assets. Corporations also tend to be very aggressive when defending against claims. They will deny liability, and will otherwise attempt to pay as little as possible for your injuries. They typically have the money and resources to litigate the case for as long as they want to. In other instances, corporations can also be somewhat dysfunctional. As a result, they may be unresponsive and difficult to communicate with. It may be a challenge to find someone who knows how you should submit your claim. If you’ve been injured in a commercial vehicle accident, the attorneys at Slappey & Sadd can help you get the compensation you deserve. Our experienced personal injury attorneys work with victims in the Atlanta area and across the state of Georgia, providing dedicated and skilled legal representation. If you’d like to schedule a free consultation with one of our attorneys, call us at 888-474-9616 or contact us online.